If an employee has a valid email address, an email reminding the Employee to provide their required EOI form to the carrier. 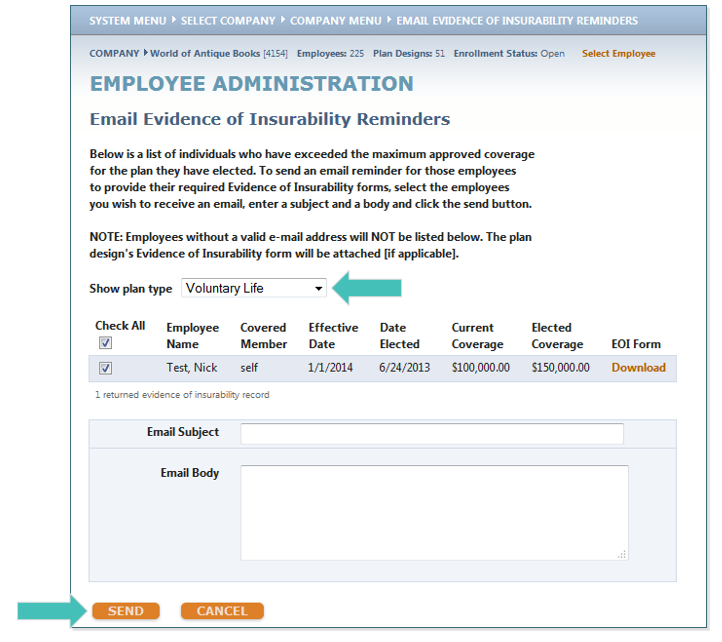 Click Evidence of Insurability Reminders. Under Show Plan Type, you can select to send notifications to all plan types or just a specific one. To send an email, add an Email Subject as well as your message in the Email Body. 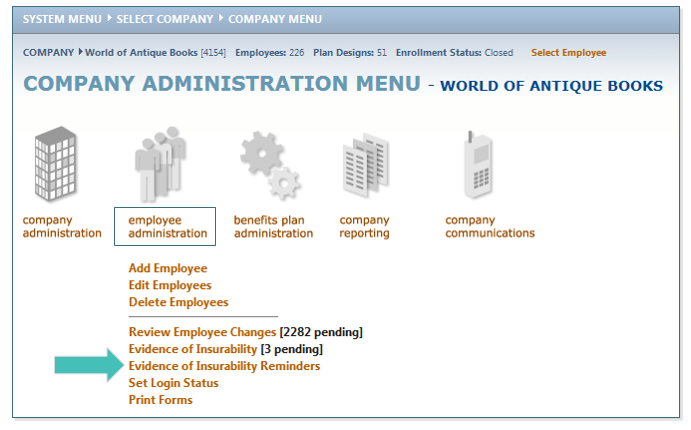 Select employees for whom an email is to be sent and click SEND.